Captain Marvel has long been an important character in the Marvel Universe, with Carol Danvers going so far as to lead the Avengers at one point in her storied career. But in recent times she has become something greater, an inspiration to others to become heroes. 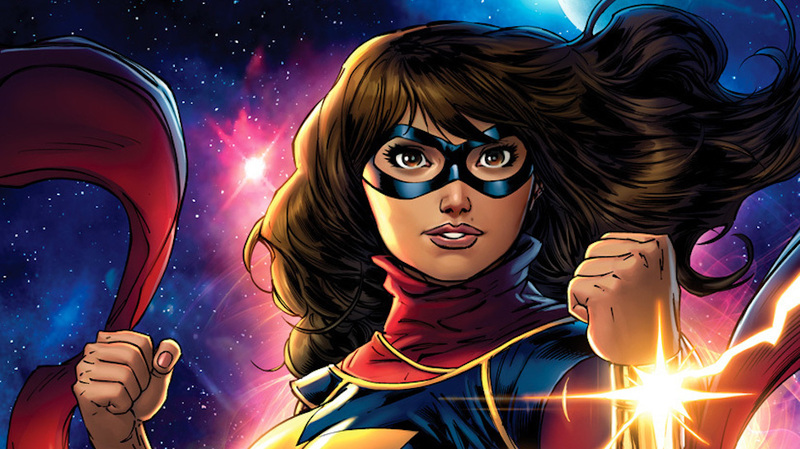 One of those is Kamala Khan aka Ms. Marvel, who has the distinction of being Marvel's first major Muslim superhero. Introduced in 2013 during the company's renewed push for diversity (Which has been met with divisive response, frankly), Ms. Marvel is now one of their most popular characters. And it sounds like she's coming to the big screen. I don't know how much stock you want to put into "definitely sort of", but Feige doesn't mention things he doesn't have ideas for. This isn't DC Films, y'know? He doesn't even specifically state that she'll be in the MCU on the big screen, that's just an assumption because that's Feige's major area of concern. He doesn't do a lot of talking about the TV side of things, or Marvel's animated slate. So what those plans for Ms. Marvel are remain unclear. Perhaps we'll see Kamala Khan make a cameo in Captain Marvel as a setup to a solo movie? And is Marvel prepared for the blowback from those who seek to demonize all Muslims? Because it WILL happen. Then again they faced that reaction with the comics and it's gone on to be one of their runaway success stories. Captain Marvel opens March 2019. We may get some answers around that time.